In the aftermath of 2017’s deadly hurricane season, you may not have heard much about the US Virgin Islands. 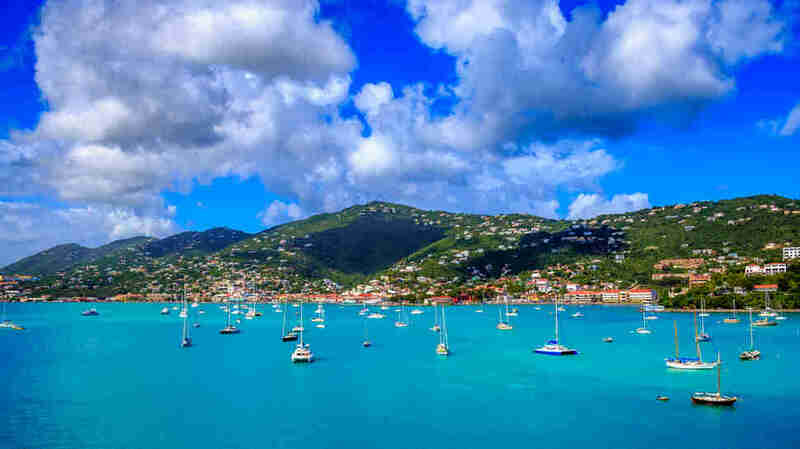 With its tropical white sand beaches, deep azure water, and historic rum factories, the trio of Caribbean islands is among the most beautiful places Americans can visit without a passport. All three were leveled after back-to-back Category 5 hurricanes Maria and Irma. But the story of the Virgin Islands is not just what’s been damaged and lost, but of what’s at this moment re-emerging. Locals have worked tirelessly to get the islands back on their feet, clearing rubble and sorting through debris. With so much razed to the ground, all the rebuilding of the past year is bringing about an incredible renaissance in USVI. Everything is re-emerging newer, better, and stronger. The St. Thomas airport is in the midst of a $230 million modernization, and the electrical grid is getting its own overhaul to make it more hurricane-resilient. In October, two resorts -- Marriott Frenchman’s Reef, followed by Sugar Bay -- finalized deals to rebuild with funding from the Federal Emergency Management Agency, so they can double as hurricane shelters in the future. And all hotels can now opt to charge their guests a small hurricane recovery fee to further help with relief efforts. There’s still a ton of work to be done -- about half of the hotels are up and running, and the others aren’t expected to reopen until later this year or 2020. But the islands are ready for visitors now. Almost every other sector (restaurants, shops, beaches) is either back up to 100% or pretty close to it. By far the most popular way to visit the US Virgin Islands is by cruise. USVI hosted more than 1.77 million cruise ship passengers in 2016 -- more than any destination in the Caribbean, except for Mexico and the Bahamas. Locals check the cruise schedule the way you might check the weather -- St. Thomas is the busiest port of call, receiving up to eight ships a day in the high season (November to May). After the hurricanes, many cruise lines helped out with the restoration efforts. In less than two months, ships were already pulling into St. Thomas. They were back up to nearly full capacity before 2017 was even over. Your options aren’t limited to sleeping and eating on a cruise ship, though. 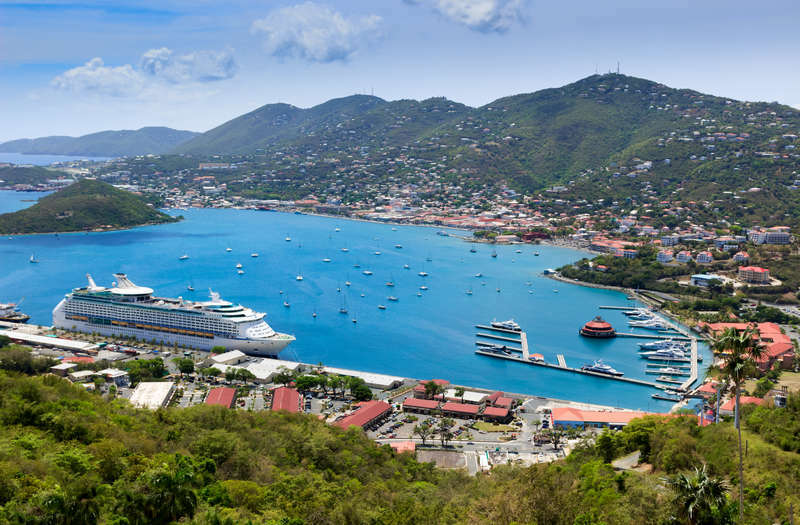 In St. Thomas alone, your hotel options include The Ritz-Carlton, Wyndham Margaritaville, Windward Passage, Emerald Beach Resort, and Bolongo Bay Beach Resort. And the majority of restaurants are open too, offering a gamut of cuisines. Go to Gladys’ Cafe for some Caribbean food, Amalia Cafe for Spanish, Bella Blu for Austrian, and Duffy’s Love Shack for, well, everything. As for things to see while you’re here, there are more than 400 historic buildings in downtown St. Thomas. The hurricanes damaged 63 of them, though 40 of those needed restoration work beforehand anyway. The old colonial architecture largely weathered the storms. Designed with thick walls and sturdy roofs, it was built to. “The overall aesthetic has survived,” says Ayala. The best thing I’ve ever gotten in a journalist goodybag is a small white washcloth from St. Thomas that just says #StillNice -- the hashtag launched by the USVI Department of Tourism in the aftermath of the hurricanes, to try to bring visitors back. It is a devastatingly earnest thing to adopt as a government slogan. It’s also correct -- the Virgin Islands are intensely beautiful, and they have not become un-beautiful just because a few places are closed. Peak tourist season is around December to March, when flights and hotels are generally more expensive. Late spring to early summer, though, is an especially lovely time to visit the islands, meaning now is a good time to start planning your trip, whether by cruise or on your own. Plus, January is shaping up to be the best month of 2019 to find cheap flights. You can join USVI’s active voluntourism program, or just go be a tourist. Go eat guava tarts. Go scuba diving. Go lie on the beach and drink gin cocktails from coconuts. Take a walking tour around St. Thomas with Ayala and see the history and natural wonders that distinguish the Virgin Islands not just from Puerto Rico, but from anywhere else you’ve been. Around the end of the summer, ripe mangos hang heavy on the trees, looking so delicious that locals stake their claim on choice branches in advance. In the summer and fall, the beaches of St. Croix become the largest known hub for nesting green turtles; you can volunteer to help monitor them. 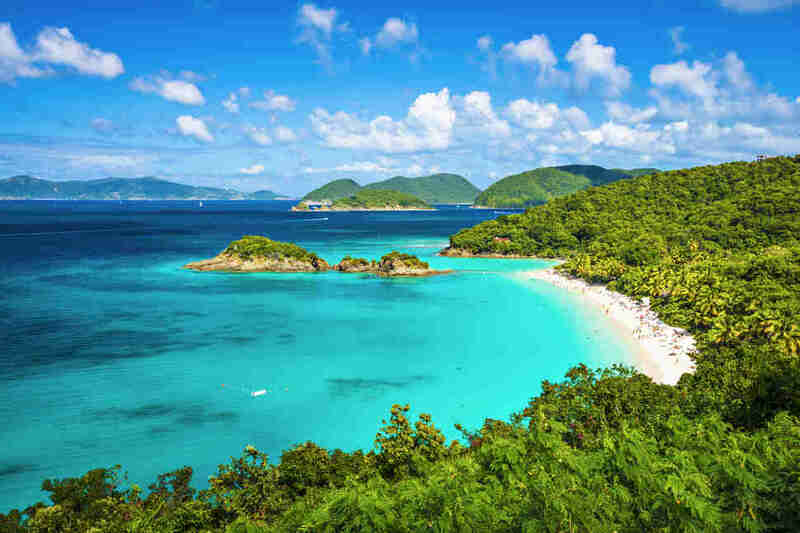 Almost two-thirds of St. John is the Virgin Islands National Park, laced with hiking trails and surrounded by coral reefs. You can swim in the ocean in the pre-dawn dark, in the winter, and the water will still be warm. You can walk on the white, white sand of Magens Bay in St. Thomas. All beaches across all three islands are open. They are all still nice.